JOINT BASE MCGUIRE-DIX-LAKEHURST, N.J.Â -- Aug. 10, 2012Â -- Northrop Grumman Corporation (NYSE:NOC) and Hybrid Air Vehicles Limited announce the successful completion of the first flight of the U.S. Army's Long Endurance Multi-Intelligence Vehicle (LEMV) in historic Lakehurst, N.J., the birthplace of the nation's storied military airship past. 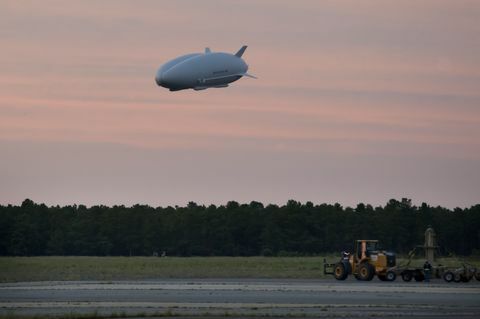 The LEMV, a first-of-its-kind airship, took to the sky at 6:49 p.m. Eastern time and flew for more than 90 minutes over Lakehurst Naval Air Station. In the shadows of the century old Hangar One, this major milestone represents the commencement of the flight test program, and demonstrates that Northrop Grumman and its industry partners have successfully developed the world's largest, most-persistent, lighter-than-air optionally piloted aircraft. 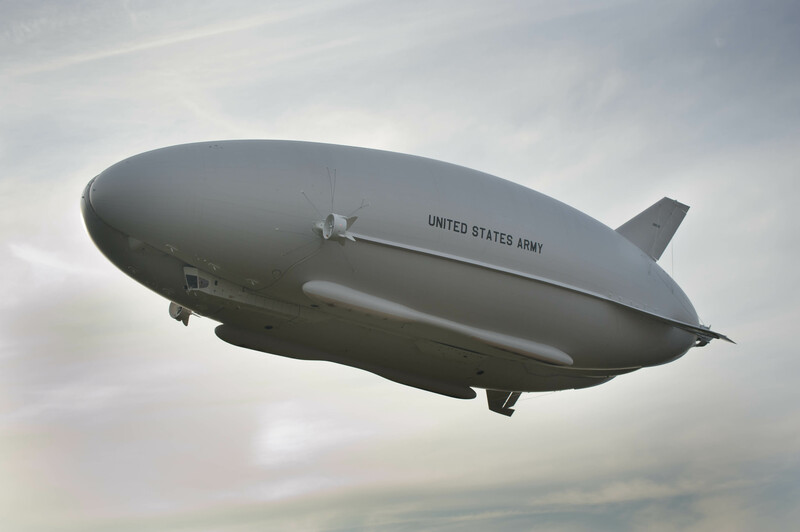 "The entire U.S. Army/Northrop Grumman industry team has done an outstanding job working through a technically challenging program, demonstrating strong teamwork to achieve this first flight milestone," said Alan Metzger, vice president and program manager of Long Endurance Multi-Intelligence Vehicle and Airships for Northrop Grumman Aerospace Systems. "This platform will establish a new standard for a long-endurance, persistent intelligence, surveillance and reconnaissance (ISR) capability over the battlefield." In an environment of tight budgets and acquisition reform, the U.S. Army/Northrop Grumman team successfully demonstrated its nontraditional approach in the execution of this technically challenging program. LEMV was designed, built and flown in a short 24 months, a considerable accomplishment for a vehicle of this scale and complexity. LEMV will provide unprecedented ISR capabilities to the U.S. Army in the form of an "unblinking stare" over ground troops, ranging anywhere from one day to multiple weeks. The endurance ability of the LEMV system comes from a design that is built around Hybrid Air Vehicles Limited's HAV304 aircraft design and Northrop Grumman's open system architecture design, which provides a modular and flexible payload capability along with room for mission expansion and growth. "Our air vehicle technology will allow the LEMV program to deliver ISR with unprecedented long endurance capability. The successful first flight of the vehicle demonstrates the readiness of hybrid air vehicle technology to serve military needs," said Gary Elliott, chief executive officer of Hybrid Air Vehicles Limited. Northrop Grumman's industry team includes Hybrid Air Vehicles Limited of the U.K. for the air vehicle design, Warwick Mills for fabric development, ILC Dover for hull fabrication and seaming, AAI Corporation for air vehicle control through its Universal Ground Control Station, SAIC for full-motion video exploitation, and a team of technology leaders from more than 18 U.S. states and at least three countries. "ILC Dover is pleased to have been given the opportunity to participate in the development and fabrication of the LEMV envelope structure. This has been a challenging program, and we are glad we were able to assist Northrop Grumman and the U.S. Army in its success," said Gilbert Baird, senior product line manager for ILC Dover. The Army lead for the technology development is the U.S. Army Space and Missile Defense Command/Army Forces Strategic Command. The Army Office of the Deputy Chief of Staff for Intelligence is responsible for the LEMV operational concept. Hybrid Air Vehicles Limited is based in Cranfield, U.K., and provides a range of hybrid air vehicles and associated services for surveillance and heavy lift applications to government and commercial customers. Please visit www.hybridairvehicles.net for more information.